In every second household, you can find a money plant blooming in its glory. Money plant is considered as a lucky plant which brings wealth, health, prosperity and happiness in the house. Money plant is also known as Malabar Chestnut or saba nut. There are many facts about money plant that you must know. For example, money plant in Feng Shui is considered to be a lucky plant that brings monetary gain and good fortune. However, the money plant is also grown in the house as an indoor plant to add to the décor. If you have a money plant at home, then it would be thrilling to know some surprising facts about money plant. If grown in the wild, the money plant can grow into a 50-60 feet tall tree. However, if grown in a container, the money plant can only reach 10-15 feet tall. It is one of the interesting facts about money plant. Each branch of a money plant has 5 leaves which grow 12 inches long. They are bright green in colour and shiny too. The creamy white flowers of money plant has a strong smell which attracts bees, bats and butterflies. One of the amazing facts about money plant is, it also has seeds. Although we have never spotted any seed in and around money plant, the plant produces seeds that grow inside the pods. The seeds eventually enlarge and burst thus falling on the ground. The five leaves of the money plant represent five symbols. In Feng Shui, the five leaves of the branch represent the five elements of Feng Shui; metal, wood, water, fire and earth. These five elements in the leaves are said to attract prosperity to the owner. It is a surprising fact to know that the fresh leaves of money plant can be consumed. The young leaves and flowers of money plant are cooked as vegetables and even used as ingredients. Even the seeds of money plant can be consumed. It is said that the seeds of money plant taste like peanuts and people roast the seeds and have it as a snack. The seeds are grounded and used as a flour for baking dishes. plants height with pot is 1 feet and pot size is 4 icnhes diameter. Best foliage plants, useful for table top and gift plants. 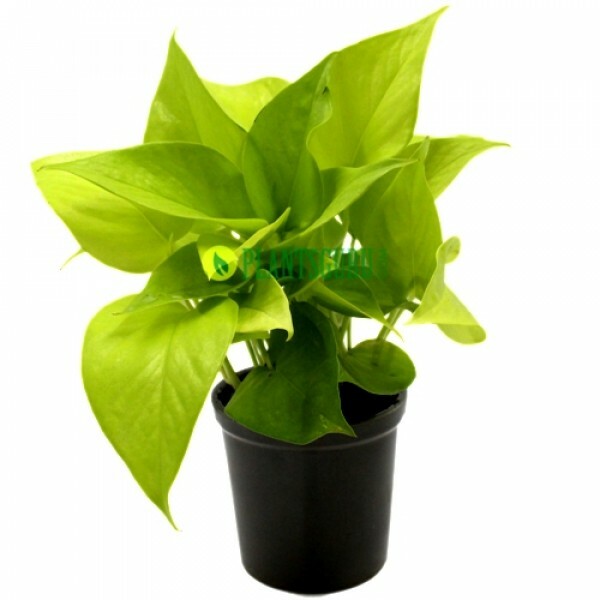 Philodendron Plants Philodendrons are among the most popular, tolerant, and durable of all house plants. There are many different species of Philodendron, each possessing it's own characteristics as to leaf size, shape or coloring. Some species climb while others remain in more of a shrub shape.A Split Leaf Philodendron, Monstera deliciosa Split Leaf Philodendron Monstera deliciosa A Large Selloum, Elephant Ear Philodendron, P. bipinnatifidum Elephant Ear Philodendron ..